It’s a new year and we have a lot of great things happening! Our next meeting will be held Tuesday, February 7th. Please note that this year we will be taking registrations for the Fishing Derby and other events this year, not the park. Please feel free to contact us at president@friendsofpunderson.com if you have any questions. First, our disc golf course saw the installation of a floating bridge out to the island, enabling it to be in play. Then, it was taken a step further and a platform / tee pad was built to drive from the island to Hole #3 making the course at Punderson truly unique and worth a stop to any traveling disc golfers to the area. The Fishing Derby is coming up in April – date to be announced! We will have more information once we get more organized, however if you would like to help volunteer, or have questions please feel free to contact us! Hopefully we will have better weather than last year, however we will try and have a plan “B” in place in case something like this happens again. 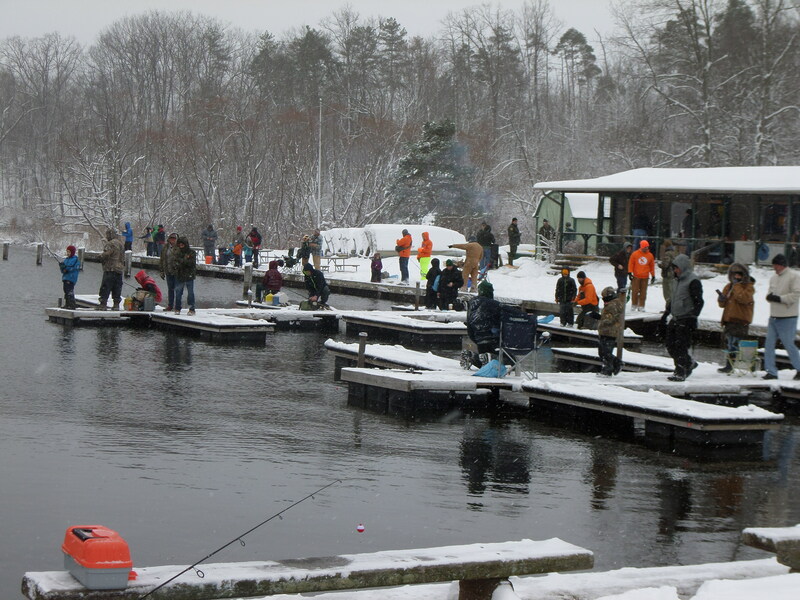 Here is a picture from last year in case you didn’t make it – Flambeau and Gander Mountain of Mentor help make this event possible along with the ODNR and Division of Wildlife that arrange the stocking of the fish. We will also be hosting the Halloween Camp Out again this year! (Date to be determined) Last year’s event was a huge success and we couldn’t believe all the campers who participated! We hope this year is just as successful and are looking for anyone who would like to help volunteer – due to lack of volunteers last year we were not able to have as many activities or games, although the kids enjoyed some Halloween themed crafts and introduction to disc golf, we would love to be able to offer more this year. Please e-mail us if you would like to help out.